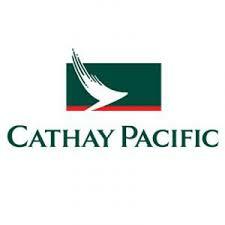 Cathay Pacific Airways has recently announced a special discount offer for passengers booking tickets between 16th and 31st December 2013. Passengers who purchase tickets through the Cathay Pacific website www.cathaypacific.in or through the Cathay Pacific ticketing offices can avail of discounts upto 20%. This offer is valid on all fares from India to any destination on the Cathay Pacific and Dragonair network and for travel in February 2014. Cathay Pacific along with sister airline Dragonair, offers excellent connectivity to over 170 destinations in 40 countries that include destinations in Mainland China, North America, Asia, Australia & New Zealand. Cathay Pacific Airways is an award-winning Hong Kong-based airline offering scheduled passenger and cargo services to more than 170 destinations in 40 countries and territories around the world. The airline has had a presence in India for over 65 years. It currently operates passenger services from Hong Kong to Mumbai, Delhi, Chennai and Hyderabad, while sister airline Dragonair flies to Bengaluru and Kolkata. Cathay Pacific is also one of the biggest air cargo operators in India with scheduled freighter services to and from Mumbai, Delhi, Chennai, Bengaluru and Hyderabad.